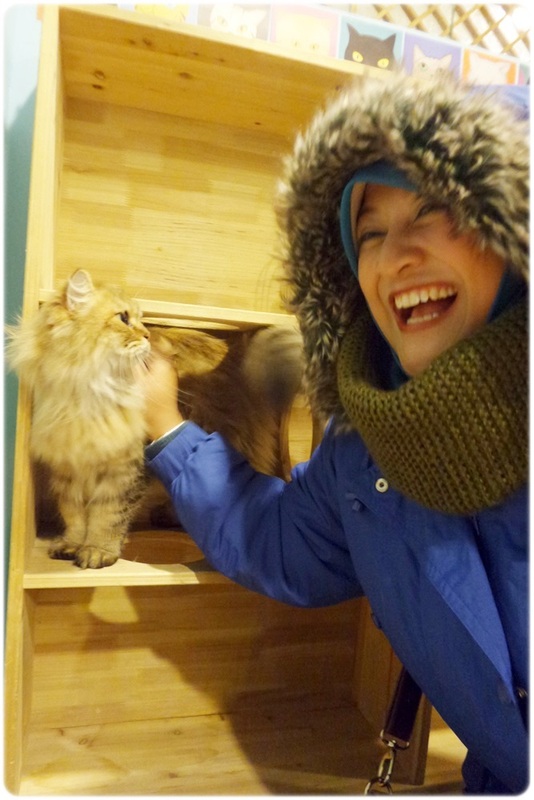 One of the main reasons why I keep going back to Seoul was the cat cafes. 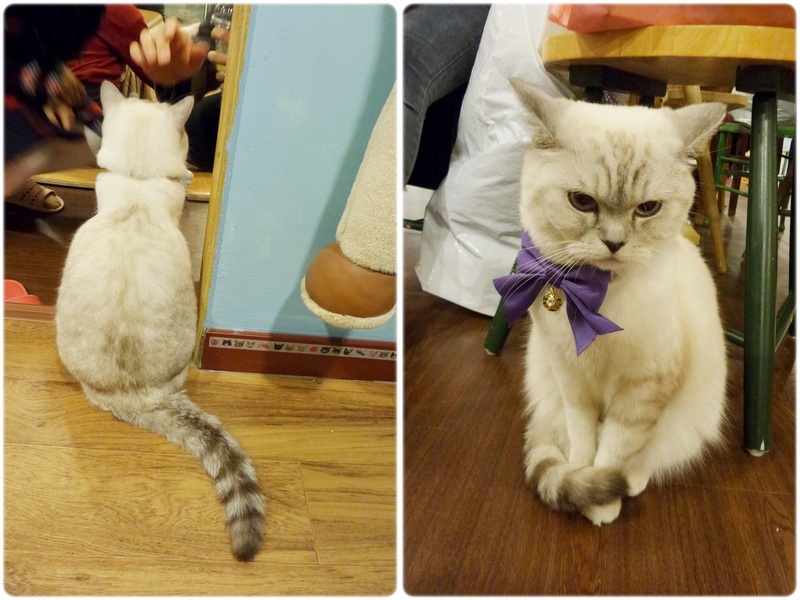 On my first trip to Seoul two years ago, I visited my first ever cat cafe and I fell in love with it ever since. Of course I had to drag the bestie and convince her that the cats will not scratch her and pounce on her. I think she started to like the cats on our first visit too. 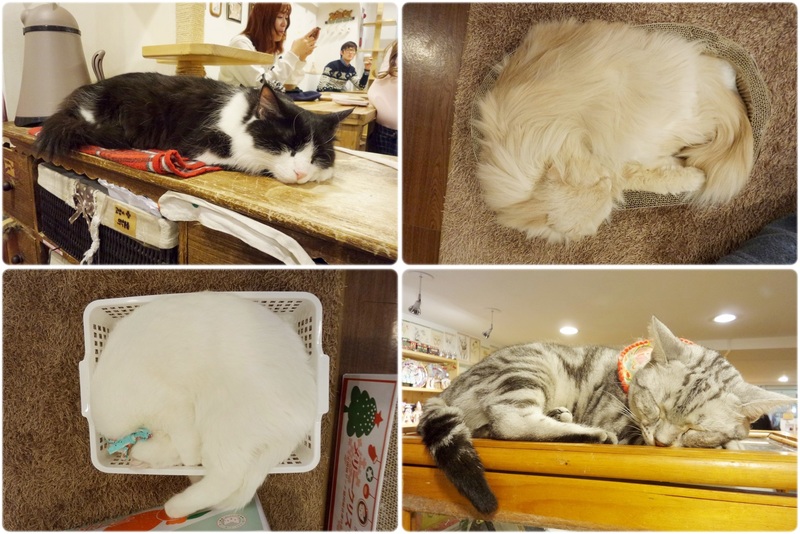 The cats in the cafe were all fat and adorable and would prefer to sleep away then pounce on anyone. Lol. 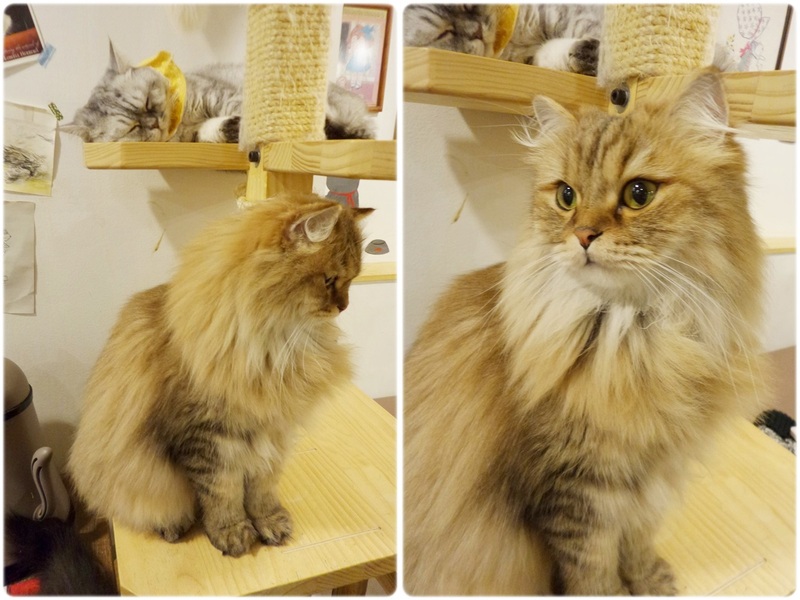 Since the night was still early and we were back in Myeongdong, we decided to visit the cat cafe here. Apart from me, the other person who was the happiest was another crazy cat lady here. 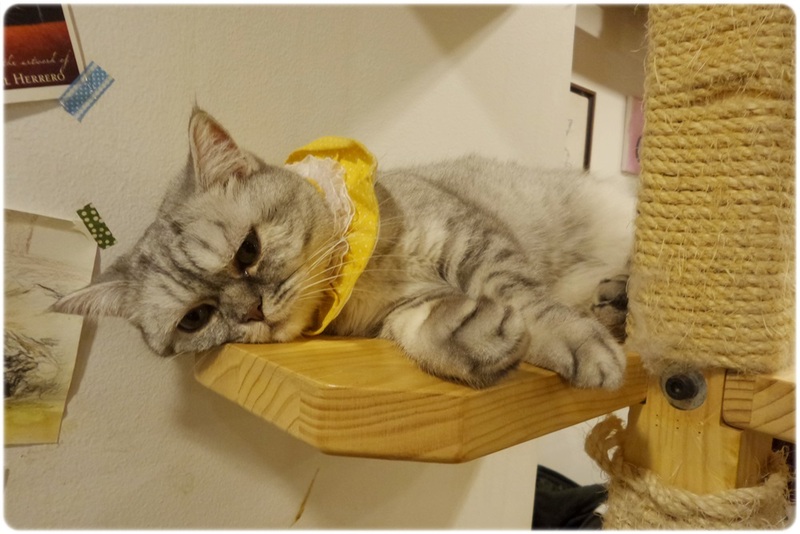 There are several cat cafes in Myeongdong alone and I can never remember where the cat cafes were located. They are usually in the second floors of the buildings so its not so noticeable. 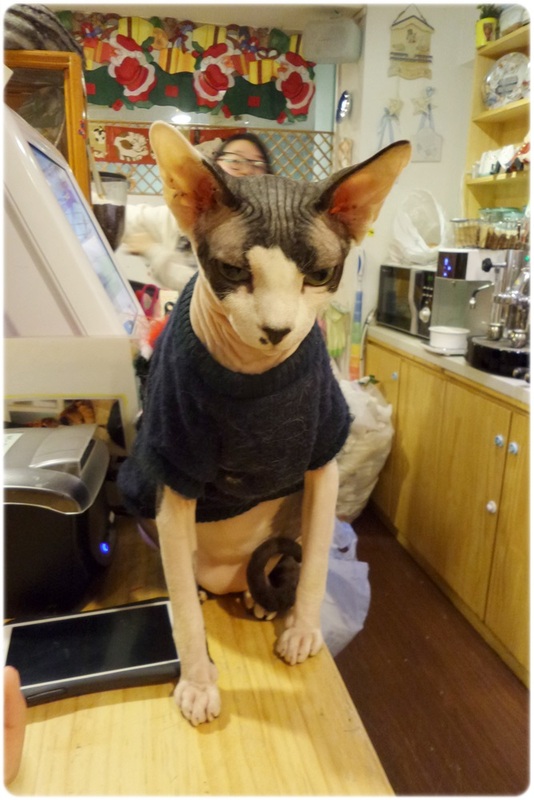 If you are unsure where the cat cafes were, look out for a cat mascot hanging around Myeongdong and ask it. The cat mascot will gladly lead you to the cafe. 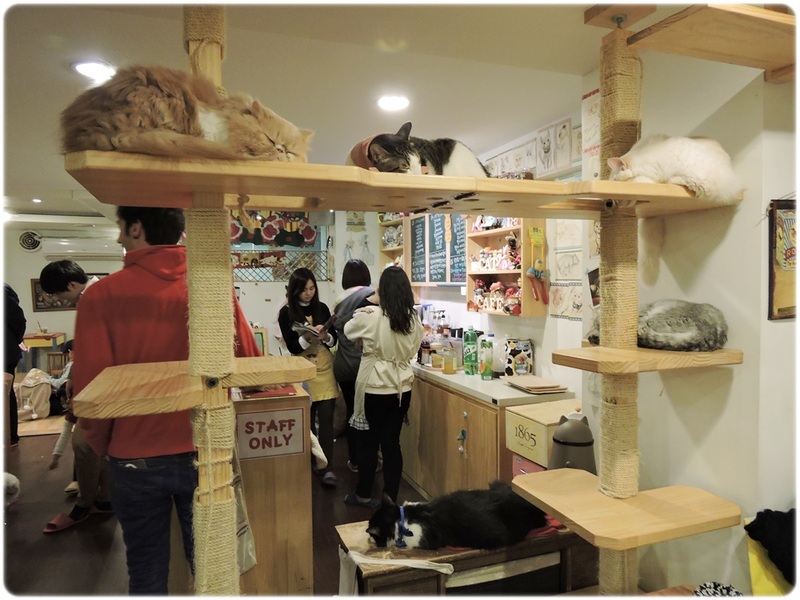 I can’t remember the name of this cat cafe but it has 40 cats loitering around the cafe! 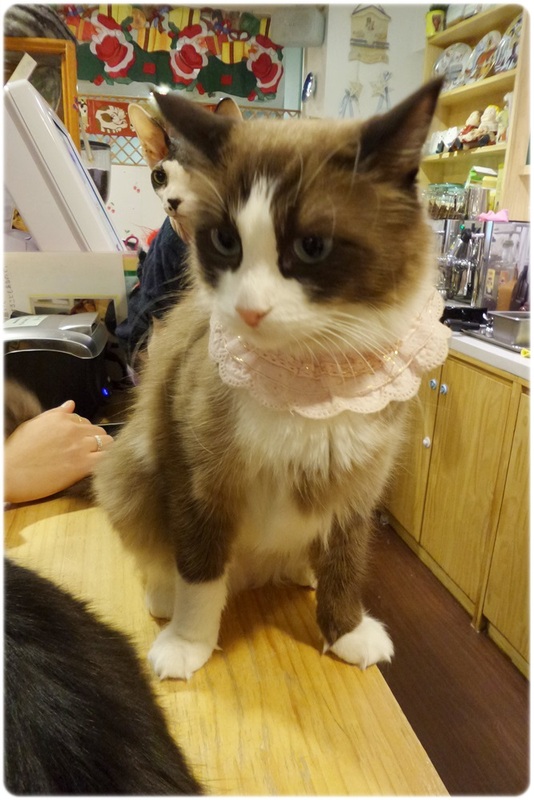 The cafe was also much bigger than the previous cat cafes that I have visited in Myeongdong so I was really pleased. 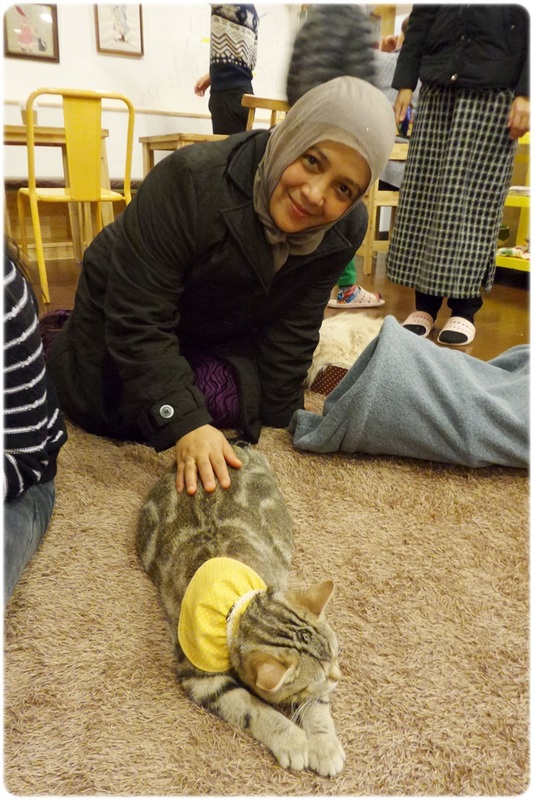 The minute you enter the cat cafe, the staff will make you sanitize your hands. You are also required to keep your bags and coats in bags for hygiene purposes. 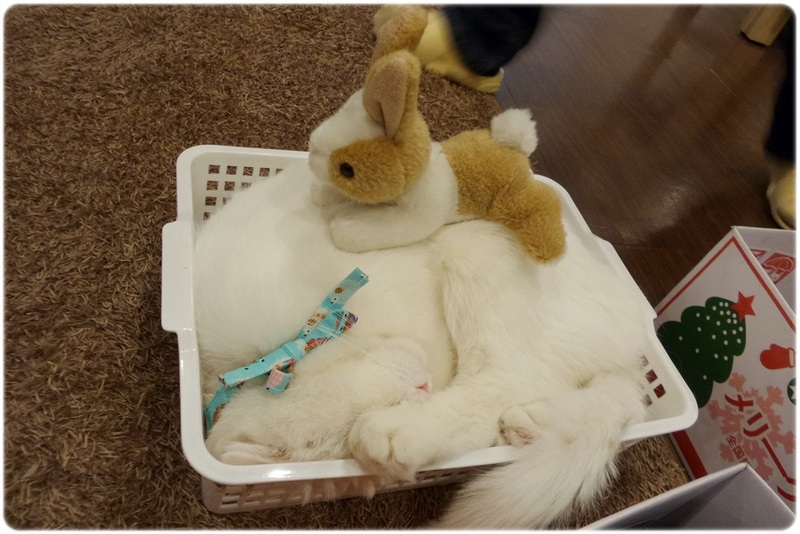 Looks like the cats were happily sleeping away. 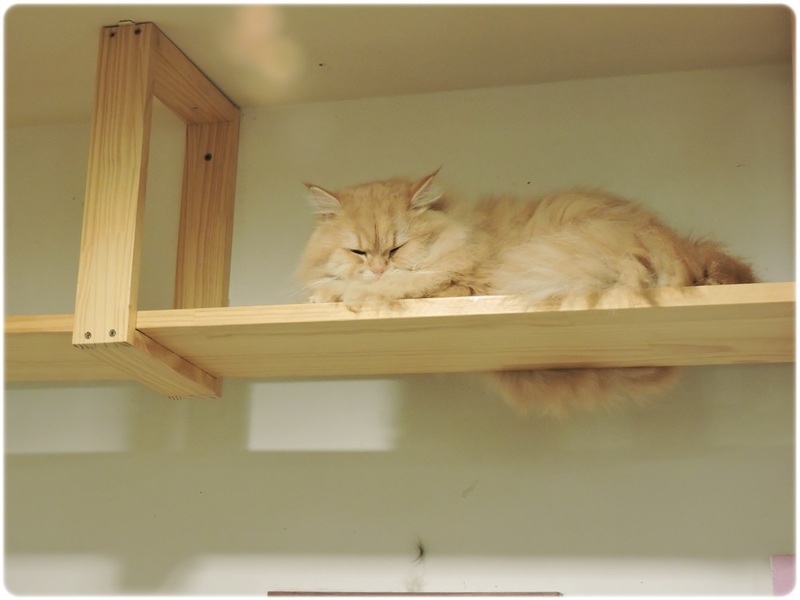 There are some rules that we have to abide in cat cafes. Its usually the same for all the cat cafes. 1. 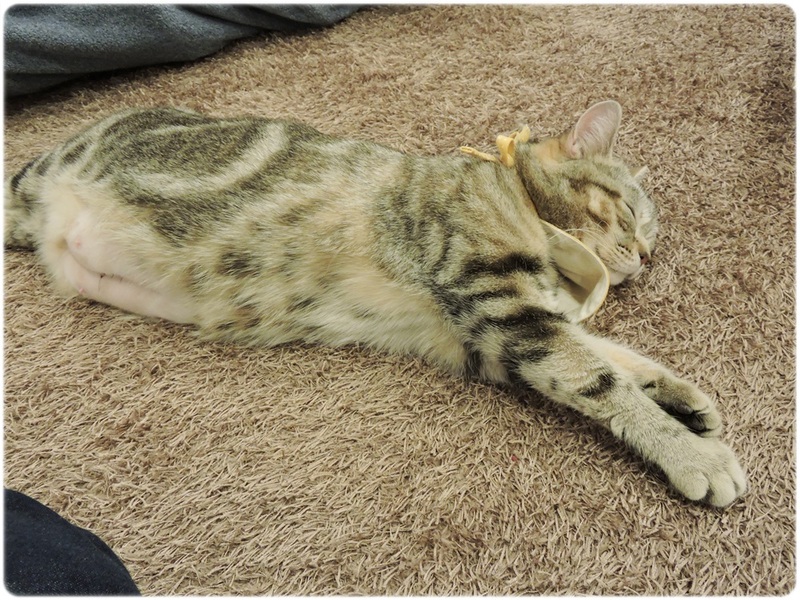 You cannot wake the cats up and disturb them when they are sleeping. So there is really nothing you can do if they are all sleeping. I could only take photos and admire their cute faces while they sleep. Some were cutely disguised with soft toys such as this one. Just like humans, cats have personalities too. There are some who will love you and be more than happy to go to you and cuddle with you. There are also others who are just moody and would prefer to reflect on their life instead of playing with you. Others are introverts who would prefer to be left alone. There are also the observers who would prefer to sit somewhere very high and unreachable. This one looks like it was on guard duty. It was fairly silent, only meowing when necessary. I first noticed it being all protective while sitting on the counter and then it moved on to the shelf next to the counter keeping watch on everyone and everything around it. This one caught everyone’s attention because it has no fur and it looks crazy cranky. Lol. 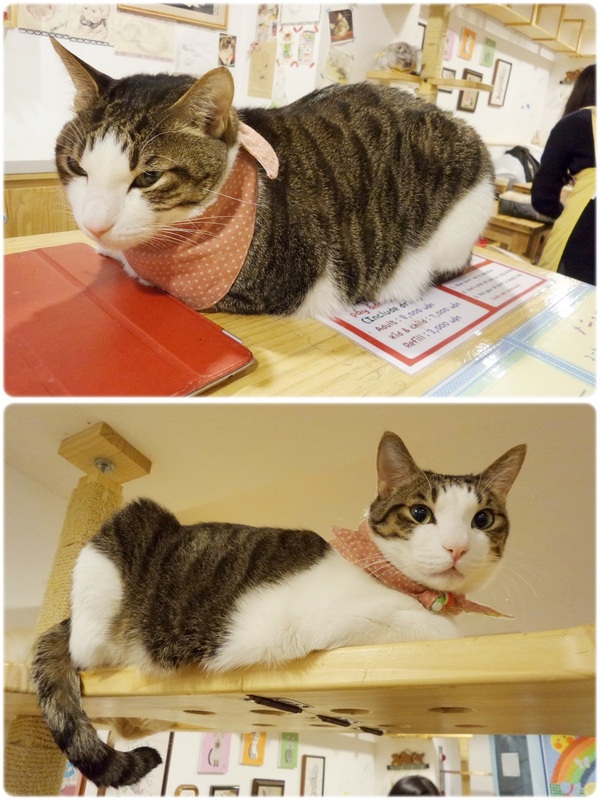 I like how the cafe put scarves on the cats’s neck. While some were decorative, these scarves were also used to ‘warn’ you about some of the cats. 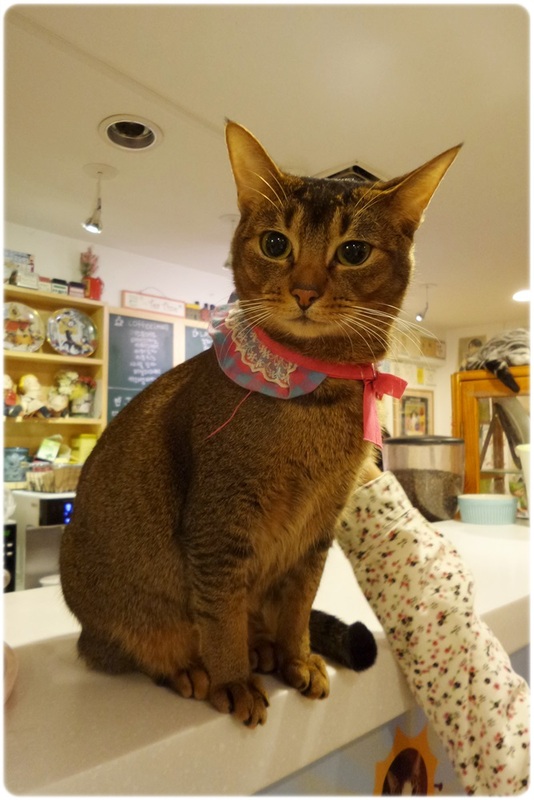 For instance, cats in blue scarves were known to be fiercer so visitors should avoid getting too near them. 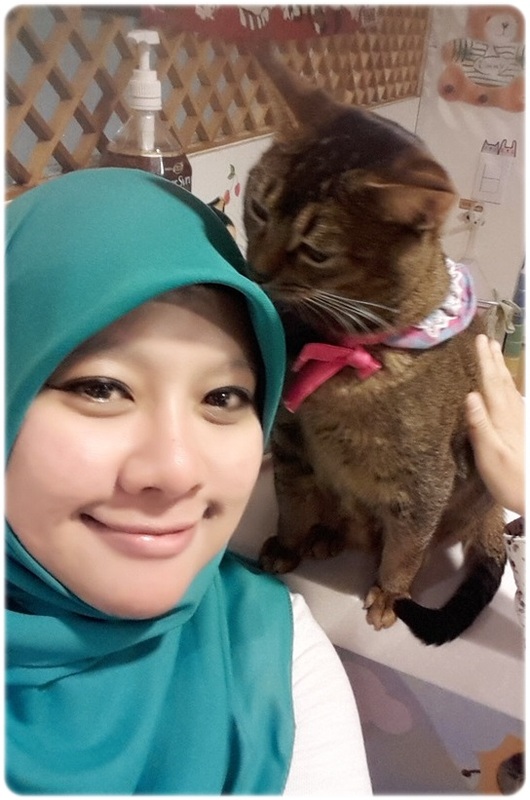 Cats with any other colour scarves were mostly safe to pet and play with. Being the crazy cat lady cat lover, I cannot resist their cuteness. 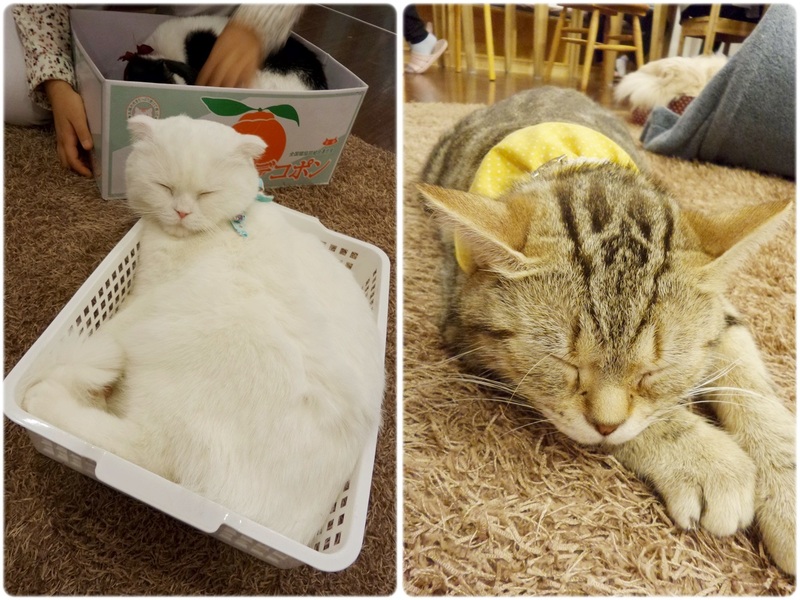 The cats in Korea have always been fatter and cuter than the ones in Singapore. I just feel like hugging them and showering them with kisses. Lol. Thankfully, not everyone was like me. Lol. There were a few cats who were just hanging out on the counter so I tried to take a selfie with each of them. As you can see, my success rate was really low. Finally, one was nice enough to face the phone camera. Look at her ‘whatever’ face. Lol. 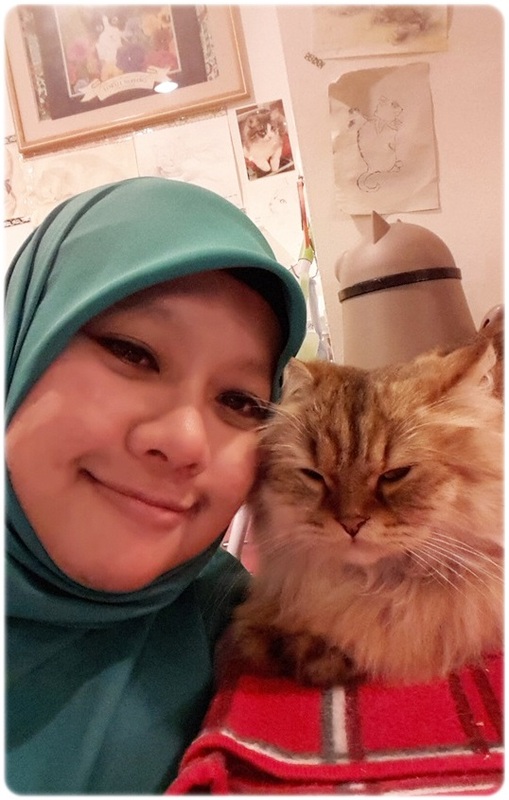 The bestie tried too but I think this was her only best shot with a cat. Look at the cat’s judging face. Lol. Which brings me to the next rule in cat cafes. 2. Never take photos of the cats with flash. It hurts their eyes and its just plain rude. 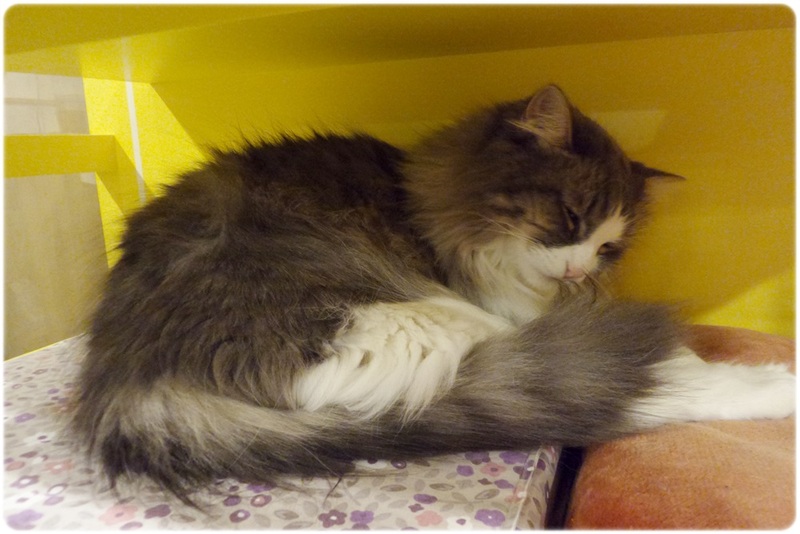 The cafe was pretty crowded and since it was cold, there are mini heaters on the floor to help keep the cats warm too. If you leave your bags open you may find the cats trying to enter your bags. Fret not, they are only looking for a warm place. 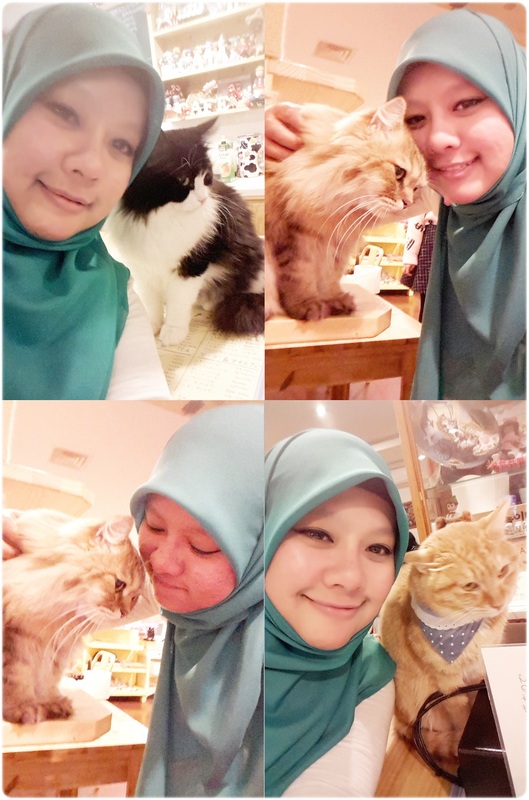 My third and last point when you visiting the cat cafe is the most important point. 3. While you find the cats cute and may want to pet them and hug them, please do no force the cats if they do not want to. They will turn their backs on you and show you their grumpy face. At the end oft the day, I have always felt that the cats will be able to tell who are the people who genuinely care and love them. Its called animal instinct. This white one reminds me of Snowy at home. I miss Snowy. One last hug before leaving. It looks so pretty with the purple ribbon around its neck. I could not hang out with the cats for too long. I started sneezing 15 minutes after I entered the cafe. Yup, I am allergic to cat fur. 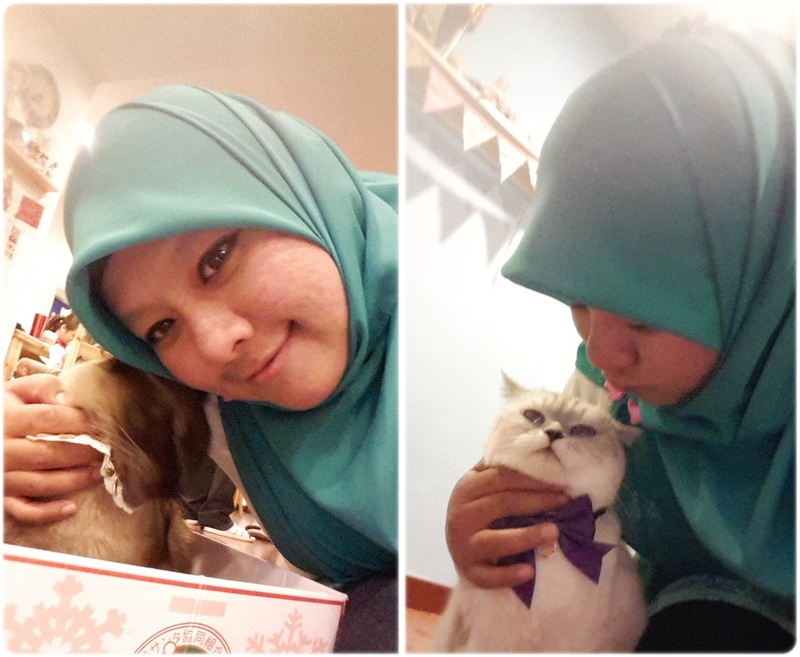 Its like a curse for me, a cat lover. I am generally fine when I play with cats in open space but in such enclosed places, I would start sneezing almost immediately. If you are like me, perhaps you may not want to get too close to the cats so that they will not end up sneezing too. Once I started to sneeze, I went back to our table and sat for a while, away from all the cats. I only resumed playing with them after I stopped sneezing. I was lucky I got a goodnight kiss from one of the cats!! Awww…. 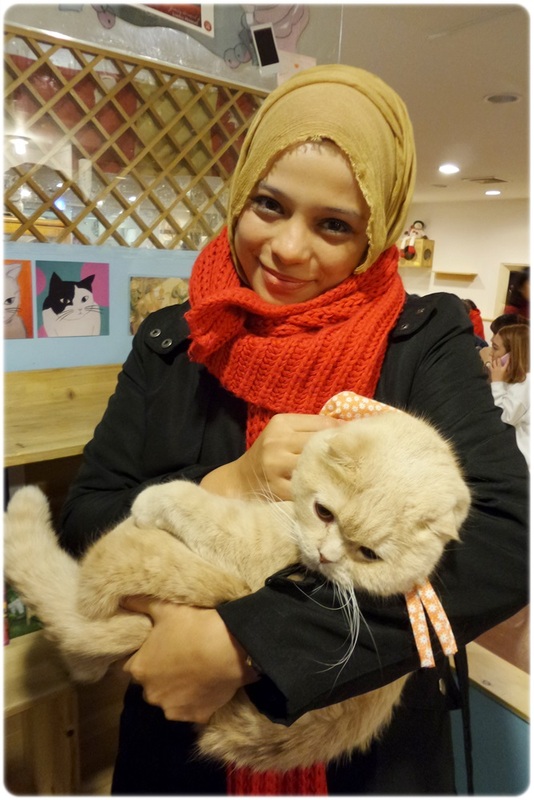 If you are a cat lover like me, be sure to visit at least one cat cafes while you are in Seoul! You will definitely have an enjoyable time. I am a cat lover, but I never heard of cat cafes. How cool! Do they serve coffee or food too? I’d love to visit one someday. Yes!! They are a big hit in Korea and in Singapore we only started to have some recently. 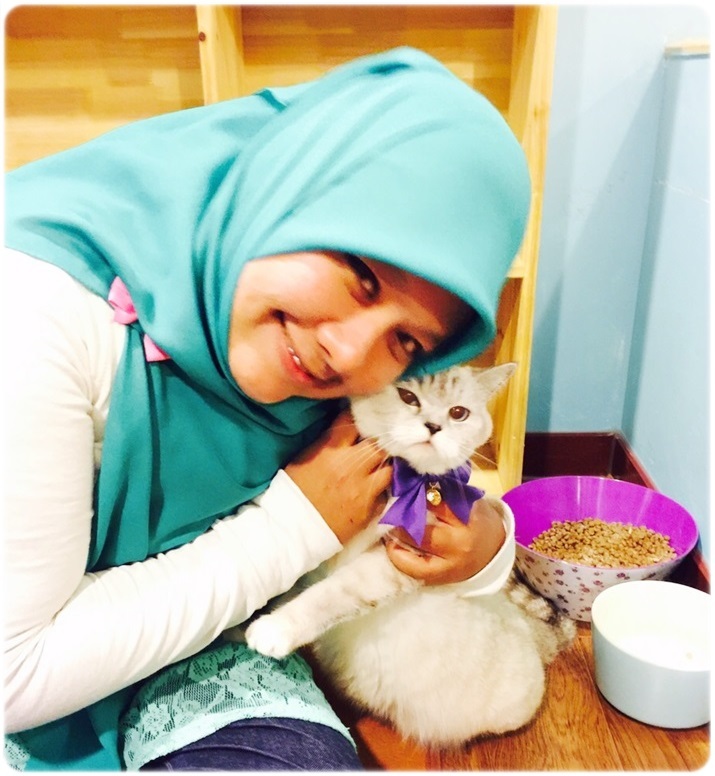 Do pay the cat cafes a visit if you are cat lover. I am sure you will love the experience!